School is letting out, temperatures are climbing, and the festivals are beginning. 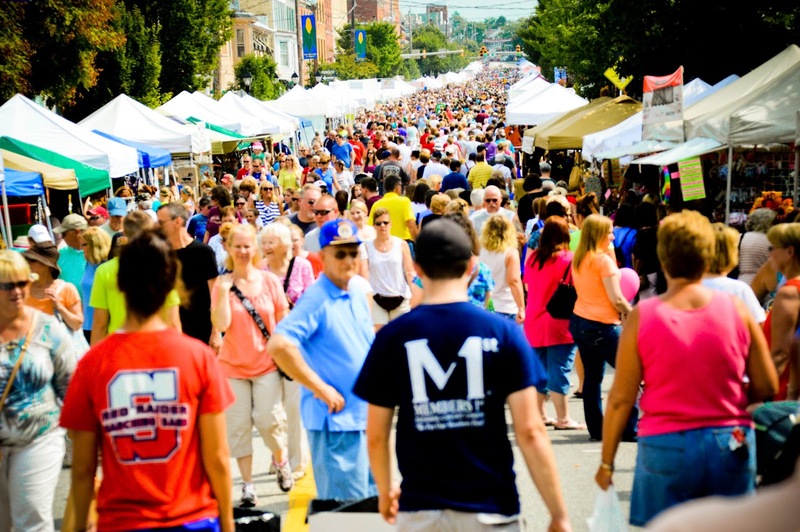 Whether it&apos;s a parade of beautiful cars, a collection of art works, or delicious fair food, it&apos;s all ahead this summer in the Cumberland Valley! 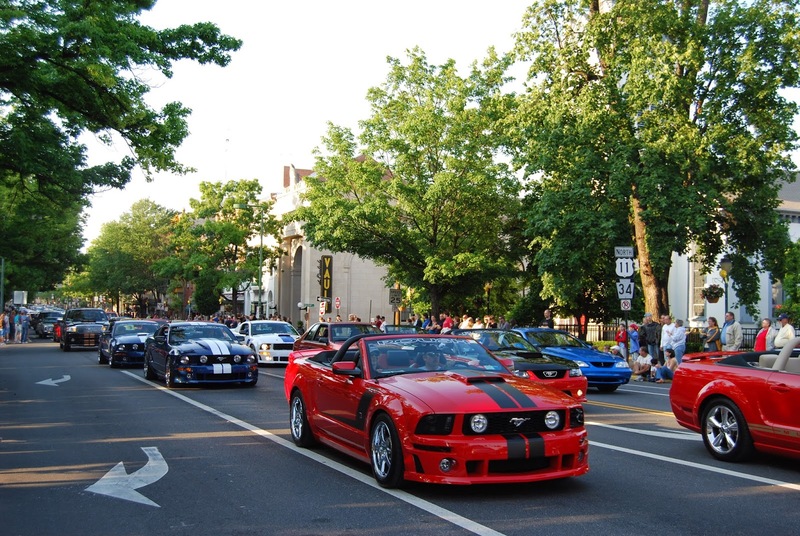 Carlisle Events and the Downtown Carlisle Association present the third annual Ford Parade and Downtown Street Party. All makes and models of Fords cruise down Hanover and High Streets in Carlisle, shops and restaurants offer specials and are open late and live music fills the streets. 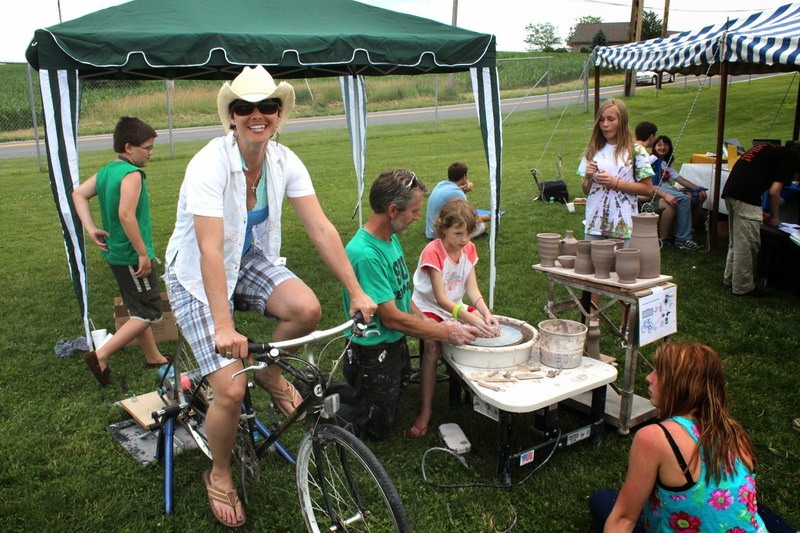 SHAPE&apos;s 10th Annual Solstice Arts Festival will feature fine art, live music, great food, children&apos;s art activities, an eco-village, a wellness circle and the Art Wall. Designed for art lovers, foodies, and music enthusiasts, this dynamic festival is sure to appeal to everyone in your family. There is no fee to attend this family friendly event, and parking is free. Sponsored by Shippensburg Arts Programming and Education (SHAPE), this year&apos;s festival will feature the Solstice 10k, part of the Cumberland Valley Rail Trail Series. Summerfair originated in 1978 and has continued ever since with its commitment to provide the community with family-friendly events offered at no cost. Major events include a 5k/10k run, an all-star softball game, a parade and ice cream social, a craft show/festival, a children&apos;s fishing derby, a Civil War walking tour, tours of the Old Courthouse, and an "anything floats" contest. Summerfair wraps up with an evening of fine music by the Harrisburg Symphony Orchestra on the Rush Campus at Dickinson College on Sunday, Juy 5, at 7:30 pm. Bring your lawn chairs or blanket. Please be sure to visit our website for the most up-to-date events, locations and times. Come celebrate the summer with us at the second oldest state park in the Commonwealth. Approximately 150 skilled crafts people and artists will display and sell a wide variety of hand-crafted items including wood carvings, custom leather, folk art, baskets, needlework, pottery, stained glass, wreaths, furniture, walking sticks, and must more. Free Admission, Great Food, Entertainment! Come and celebrate the rich heritage of our community and learn about the importance of agriculture, Pennsylvania&apos;s number one industry! Join us during the 58th Annual Shippensburg Community Fair for lots of food, fun, entertainment and more. The Fair features events that bring town and country together, including livestock exhibits, home products, tractor pulls, horse shows, rides and games for all ages! 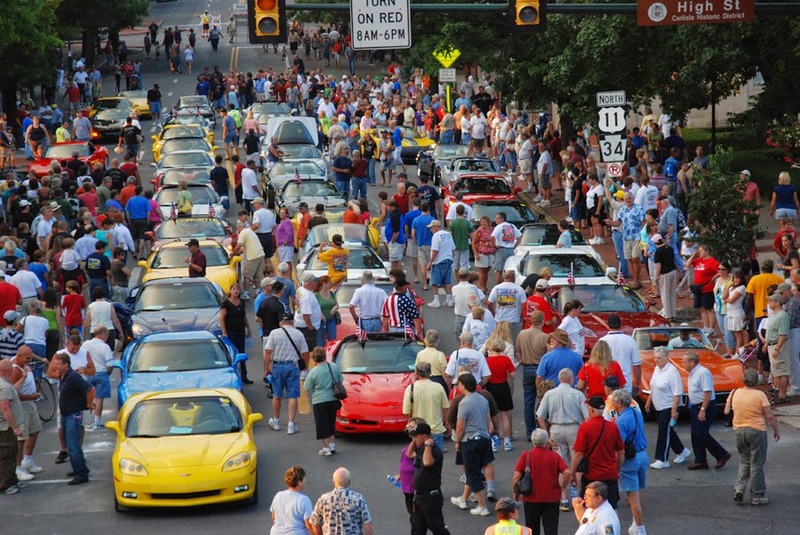 The Corvette Parade is a downtown Carlisle staple. Held the Saturday of the annual Corvettes at Carlisle auto show, spectators line Hanover and High streets to watch over 400 Corvettes of all years and makes cruise through downtown. The night culminates into a street party. 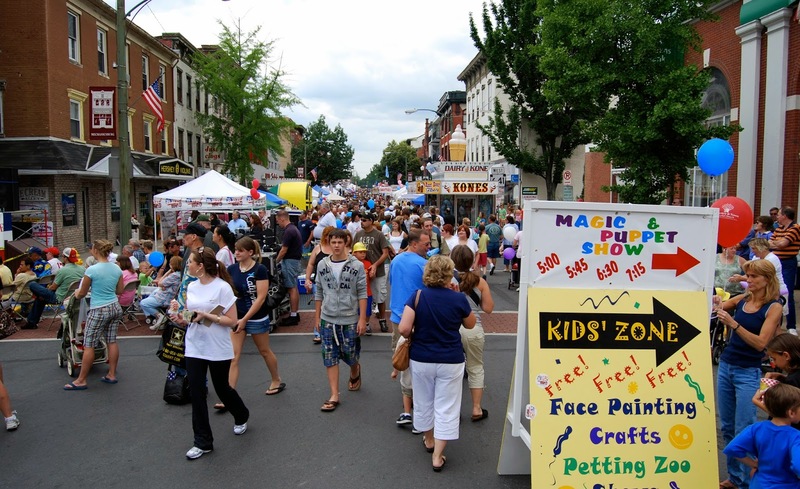 Shippensburg&apos;s downtown main streets are closed to vehicular traffic and transformed into a huge street fair for the day. Crafts, an antique car show, food booths, entertainment, and children&apos;s activities offer something for the entire family. There are more than 300 crafts and antique vendors. Food booths feature corn in every available form. Entertainers perform all day at three sites and there are a variety of strolling acts and demonstrations. The Corn Festival is easily reached off of Exits 24 and 29 of Interstate 81. Parking is available at the Shippensburg Fairgrounds located off South Fayette Street. A shuttle bus provides transportation from the fairgrounds. 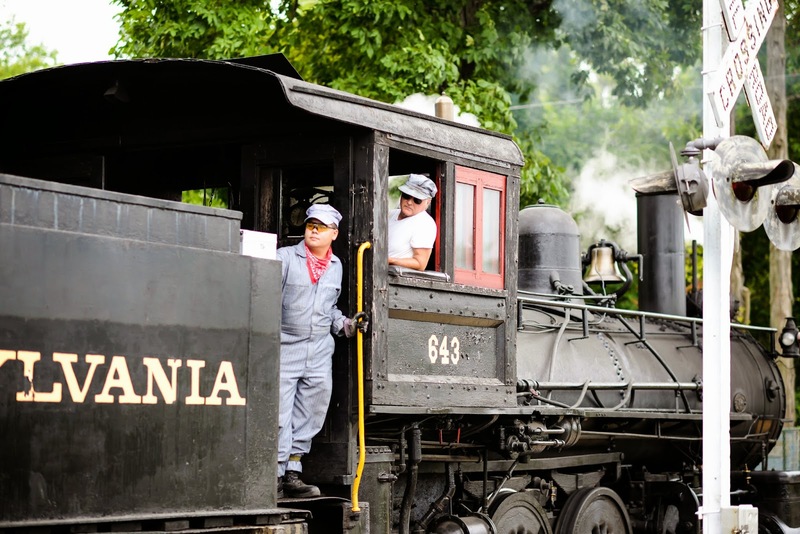 The Annual Steam Engine Show in Mechanicsburg is a must for any railroad enthusiast. Watch steam engine and tractor parades, horse and tractor pulls, find a deal at the farmer&apos;s flea market or enjoy the nightly live music. There is a fee for this event.